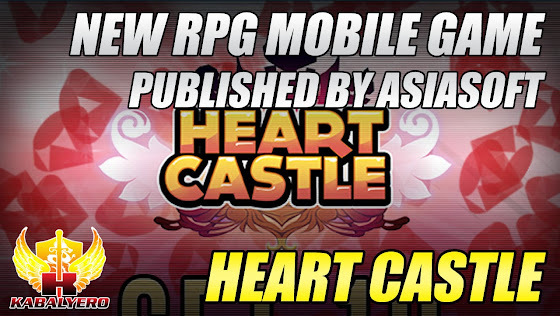 Heart Castle, New Mobile Game From Asiasoft - KABALYERO - PLAY, BLOG & EARN! Heart Castle is Asiasoft's newest mobile game. If you enjoy playing Hello Hero then you might enjoy Heart Castle too. Recently, I got an e-mail update from Asiasoft and it was about its newest mobile game called Heart Castle. Heart Castle is a 3D role-playing mobile game based on the story of Alice In Wonderland. In this game, you will be able to explore Wonderland and battle, capture and collect hundreds of unique and cute monsters that can join you in your adventures. Heart Castle is currently in Beta. If you are interested in playing Heart Castle during its Beta period then the link to where you can learn more about it is in the description of this video. By the way guys, Heart Castle is currently only available to Android users but an iOS version is coming soon.